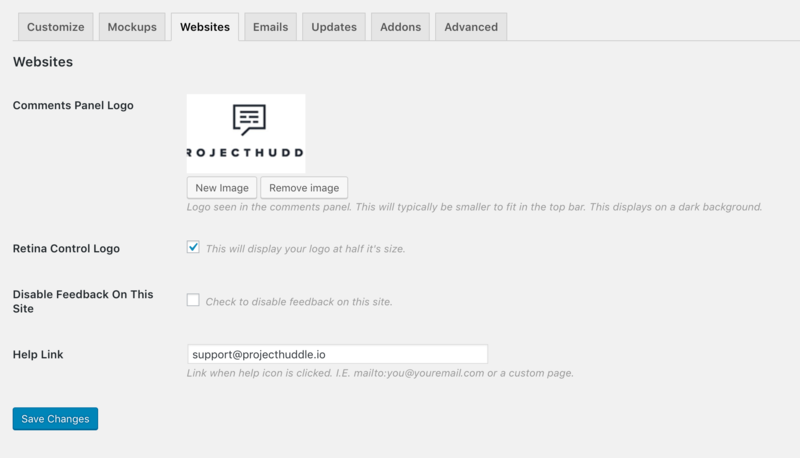 Under Settings > Websites add your company logo to live website projects - which appears in the pop out comments panel. You can also add a custom help contact link for your client, which will route them to a specific email or page when the frontend help link is clicked. From ProjectHuddle > Websites > Your Web Project you can adjust a few settings for specific web projects within the meta box Project Options. 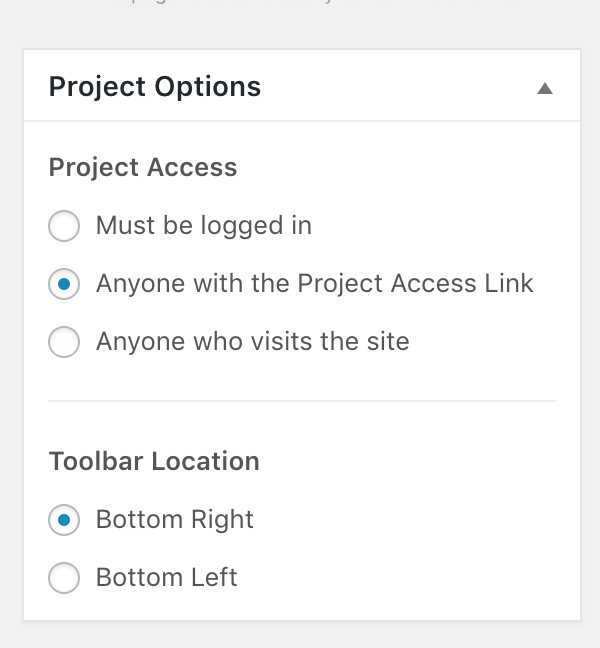 Adjust who can access the web project by selecting a radio button under Project Access, learn more about Project Access control and sharing projects in the article Sharing a live website project. You can also select the toolbar location in this meta box.